: The charbroiled burgers tend to get all the glory, but this is more than a burger joint. The Coney Island hot dog, roast beef sandwiches and fish ‘n’ chips (Fridays only) all have loyal fans --- as do the gooey butter cookies, derived from the local specialty, gooey butter cake. 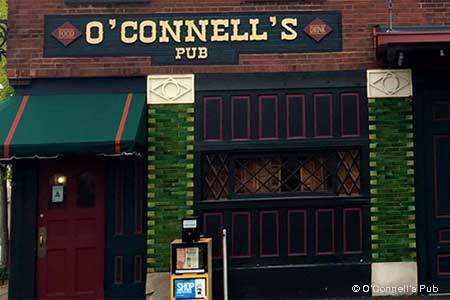 O’Connell’s straightforward approach doesn’t overwhelm diners with options. For example, there’s a single salad dressing, the Mayfair. Settle in for a wait as your food is cooked to order, and don’t expect coddling from the busy staff. There will be time to admire the wood paneling, photos of Irish authors and brass chandeliers (souvenirs from the 1904 World’s Fair, brought from the pub’s original location in a now-defunct strip known as Gaslight Square). The bar also operates at a leisurely pace, all the better for enjoying the fine selection of Irish whiskeys and single-malt scotches.